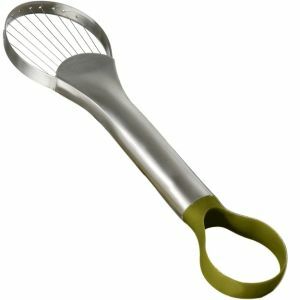 Avocado slicer and pitter easily pits and slices avocados. The nylon loop end to remove pits and use the wire end to slice and scoop fruit. To eliminate the mess and prepare avocadoes without damaging the fruit.